The third series depicts the Colonial era of 1607 - 1775. Again, our display packaging and materials reflect this time in history. 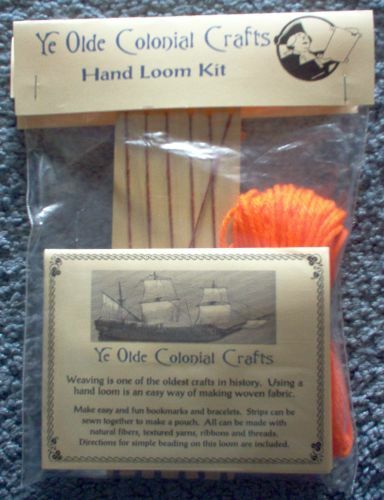 We have added the lucet for what would have been used in everyday life of the colonials. The spool knitting kit can be substituted or added in addition to the lucet kit. 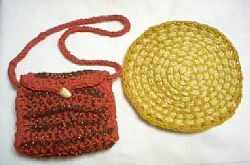 [Item 02003] Lucet kit - Makes cording that can be sewn together for rugs, purses, chair mats and coaster. The wooden lucet comes with yarn and is pre-started. Please contact us on multiple selections for a shipping adjustment. We accept Paypal and credit cards, let us know if you have any questions on your order. Thank you for visiting our website. We invite you to visit again soon.